With Africa's last elephants dying under the poachers' guns, Kenya rancher and former SAS officer Ian MacAdam leads a commando squad against them. Pursuing the poachers through jungled mountains and searing deserts he battles thirst, solitude, terror and lethal animals, only to find that the poachers have kidnapped a young archaeologist, Rebecca Hecht, whom he once loved and bitterly lost. McAdam embarks upon a desperate trek to save not only Rebecca but his own soul in an Africa torn apart by wars, overpopulation, and the slaughter of its last wildlife. Based on the author's experiences pursuing elephant poachers in the wilds of East Africa. The Last Savannah is an African action adventure playing itself out in the deserts, savannas and wildness of Kenya, Ethiopia and Somalia. 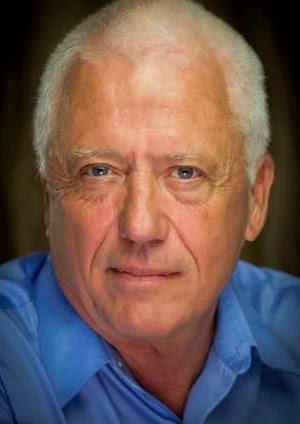 Ian MacAdam, a Kenyan farmer and former SAS officer, cannot deny his assistance when an old friend who saved is life numerous times, ask him to join a commando hunting down the poachers of the last elephants of Kenya. This request forces him to a make a final choice about his love and dedication to Africa when his wife, a lonely alcoholic, announces her departure to England for good. She never wants to see Africa again. He never wants to leave it. "He will die with his boots on" she says. Ian wants to go on this mission and use it as an opportunity to make a decision about his future. Through the aspirations of a young poacher in love, another dimension will be added to the battle, when he kidnaps Rebecca Hecht, an internationally well-known archaeologist who was also once the big love of Ian's life. The story is constructed from two different points of view. One is the do-good group of soldiers and a few ex-soldiers who are instructed to find and kill the poachers of the last elephants in Kenya. The opposing group, the poachers, are poor, desperate Somalian men who have no other means of survival. In between the two groups are international role players, such as embassy personnel of ivory-seeking countries, local corrupt politicians and big global corporations. It's macho-lit book written for the man's man. Yes, if a term like that is allowed. The action is real, it happens everyday in Africa and the multitude of animals crossing the characters paths are real too. Interesting social opinions are lightly splashed over the text, which adds another level of interest to the book. For instance: "Like malaria, Africa. Once bitten you can never shake it. They used to call acacias “fever trees”, thinking malaria came from them. Now they “know” malaria comes from mosquitoes. Some day they’ll realize malaria comes from the continent itself: Africa is a fever. For Africa there’s no chloroquine. No matter if you leave it, it’s engraved in your blood." "Now the land, the trees, the animals are gone; the whites were right—God’s not so hard to kill. And most of the whites had gone, too, leaving behind them a plague to finish off what they began. This plague, MacAdam had reflected so many bitter times, was medicine without birth control. It allowed the weak to live, populations to explode, the limitless savannas and jungles cut into tiny shambas where swollen families burnt and hacked the vegetation, then clung to the malnourished soil till it eroded to bedrock. Without the grass and trees the soil dried, the rains died and you could see a man coming miles away by the dust he raised." These opinions are controversial, severely oversimplified, and debatable of course. It serves a particular agenda - saying what the world wants to hear. The book also describes the desolation, yet unimaginable beauty of the natural surroundings. It was a good read. An entertaining one. 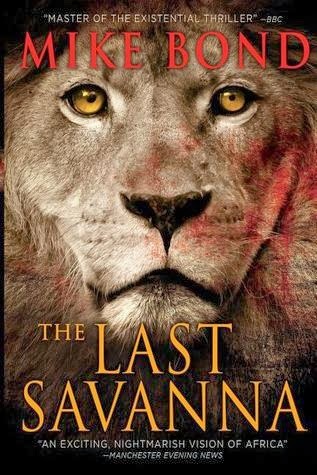 Not the best book I have ever read in the African adventure genre, but well written. Some parts, which was boring and predictable, could have been cut, resulting in heightened drama, but that is my personal opinion. Some elements were a bit unrealistic. For instance, a man who was kerfuffled by a buffalo horn in the chest, resulting in six broken ribs, cannot run around shooting and shouting like it never happened, trying to save damsels in distress. I've seen the results of a buffalo encounter, and boy, the hero might be macho and God's gift to women, but his superman stunts in the story after the encounter, do not fit the real deal at all. Yes, I know, do not allow reality to interfere with a good story, right? Right you are! The end was a total surprise! So, really, enjoy this book. It is really based on much of the reality of modern day Africa, with not too much fantasy added. Every element in this narrative is either possible or true. It is not the last book I want to read from the author, Mike Bond. I appreciate his observations of all the countries he has covered as journalist. He has many good, as well as valid, stories to tell. Hawaii-based bestselling novelist, international energy expert, war and human rights correspondent and award-winning poet, Mike Bond has lived and worked in many dangerous, remote and war-torn regions of the world. His critically acclaimed novels depict the innate hunger of the human heart for good, the intense joys of love, the terror and fury of battle, the sinister vagaries of international politics and multinational corporations, and the vanishing beauty of the natural world. 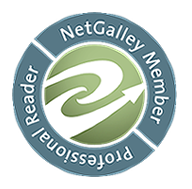 Share book reviews and ratings with Margitte, and even join a book club on Goodreads. Graphic design by Margitte & Maretha on. Watermark theme. Powered by Blogger.